To be the best, to take your talent and rise to the top you have to work harder, want it more than most and look for the chance to shine. That’s it, there is no secret. You can’t get there if you don’t – it just won’t happen. An overnight success requires days upon days, months upon months, years upon years of tedious practice, preparation and dedication. You also are going to need a little faith along the way. To get to be the best – you’re going to have to visualize then live your story. Everyone has a story. Today the Baltimore Ravens kick-off their 20th season in the NFL. 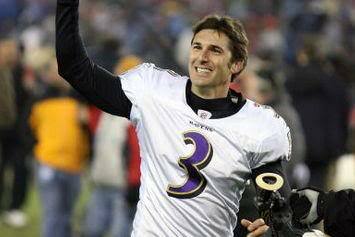 For a good part of these 20 seasons the Ravens featured Matt Stover as their placekicker. A man who during his 19-year-career kicked more than 470 field goals, scoring more than 2,000 points for three different teams and by his final season in 2009, was the third most accurate kicker in the history of the NFL. 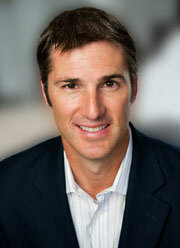 Yet for Matt Stover it was never about the kick. 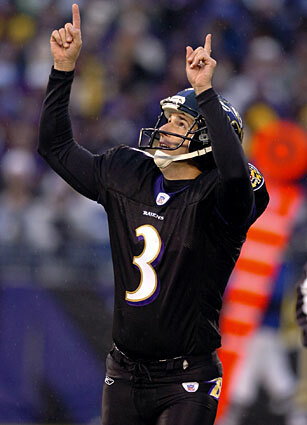 What it was about for the man who wore #3 for the Ravens, was the magic of three: faith, family and…failure. The freedom to fail – it strikes fear in the hearts of so many. But you’ve got to be able to make mistakes, miss your shot, get bruised, bloodied, but do so with the unwavering fortitude to have trust and faith in yourself, in a higher power, and realize you are not an island, you can’t go it alone, you must have help. Use relationships as the foundation to fall back on, and they in turn will help you rise back up. Sometimes failure grabs ahold of you and won’t seem to let go. For Stover it was the 1999 season, and he was not doing well. Early into his 10th NFL season, Stover was struggling and the rookie head coach of the Ravens, Brian Billick, was looking to make an example out of him. But Stover also asked Billick to give him his trust. The coach put his trust in Stover and by doing so his competition, Joe Nedney, never even made it onto the field, he was cut after five weeks. Stover went on to kick 18 straight field goals that season and the next year he led an offense that went through a five-game stretch without scoring a touchdown, (all the points coming courtesy of Stover’s magic foot), to a Super Bowl Crown. Stover never missed a game due to injury, and played with the Ravens through the 2008 season. His final score as a Raven – a 43-yard field goal that won the game against the Tennessee Titans in the AFC Divisional Round. In 2011 Stover was inducted into the Baltimore Ravens Ring of Honor. But that same kid better be ready to work, because 95% of success is all about the GRIND. “Somebody I could trust – that’s what I want on my tombstone. I want to be remembered as a great father, great husband, good kicker, great teammate. 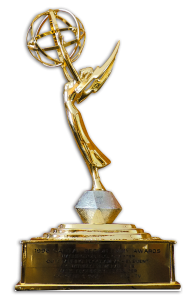 I knew if I navigated myself well and did whatever I could for my team, and did it off the field as well, then I have earned the right to speak and help others spiritually, personally and professionally. 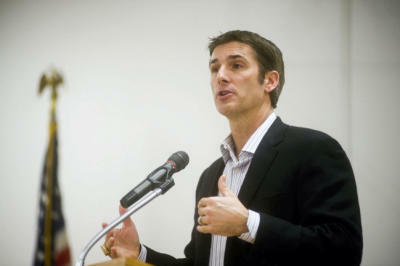 Faith, family, failure – a recipe for success which has placed Matt Stover and his life squarely between the uprights.